To keep up her jewelry joy, American heiress and patron of the French arts Florence Gould reputedly clipped diamond brooches on to her bedroom slippers. Talk about twinkle toes. New York socialite Mae Plant who lived in New York City way back when is a case study of someone with an over-active jewelry gene. In 1917, she convinced her husband, Morton, to give Pierre Cartier their house—an incredible Renaissance style mansion on Fifth Avenue and Fifty-Second Street—in exchange for the jeweler’s double strand pearl necklace. The jewel had a retail price of over one million dollars not only because the pearls were perfect and perfectly matched but also because it took Cartier years to assemble them. Finding pearls was an adventure on the high seas, in the days before cultured pearl farming was fully developed. The fashion for pearls inspired women who wanted great pearl necklaces to come up with clever ways to get their names on top of a jeweler’s waiting list. Nobody was more imaginative than Mrs. Plant. Knowing her husband’s deep pockets and desire to move further uptown and Cartier’s interest in more square footage in midtown, she neatly guided the deal that was a win-win for all. 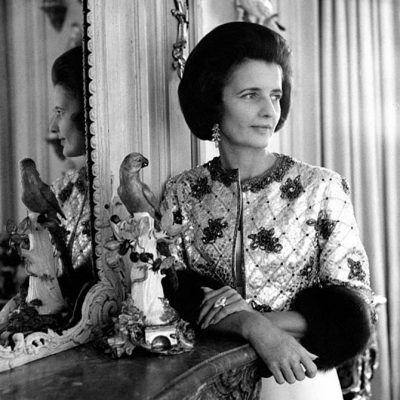 Mrs. Plant of course got her pearls but in addition to countless charitable works, the Plants can also be counted as pioneers in establishing New York’s swanky Upper East Side. As for Cartier, the firm conducts business out of the mansion to this day. It is great to have the big bucks, like Mrs. Plant and Mrs. Kempner, to satisfy the jewelry gene but a break-the-bank budget is not necessary. 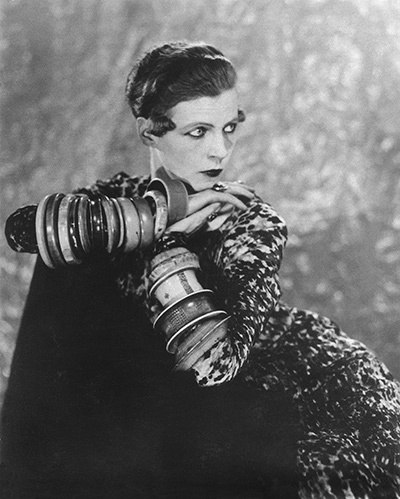 Cheap ivory and horn bangles were the key to Nancy Cunard’s signature look. A poet and heiress, Cunard started stacking the jewels from her wrist to her elbows around 1925. 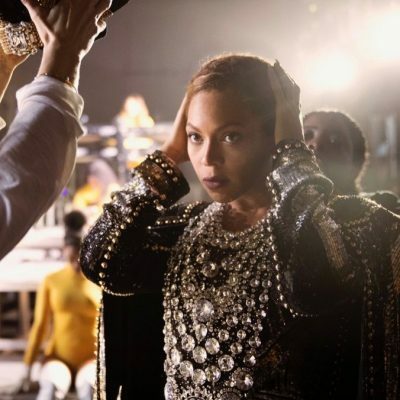 The jewelry, some kohl eye makeup, and a bob, but mainly the jewelry, lifted Cunard above commonplace beauty. She became an absolute exotic in what she called her “ivories.” Cecil Beaton photographed her. Brancusi sculpted her. Man Ray immortalized her in a photograph that has come to epitomize Art Deco style. For her part, Cunard totally lived up to her adventurous and original accessories. She took up several African American causes and collected African Art. In 1928 she fell in love with and had a highly publicized and tumultuous relationship with black jazz musician Henry Crowder from Alabama. Sadly, the Nancy Cunard era ended when the bracelets where stolen out of her home in France during World War II. Jewelry speaks volumes and women with the jewelry gene know it. It can broadcast your style, taste, travels—even your message. Madeline Albright did some clever tough talking with her pins as Secretary of State during the Clinton Administration. One time the Russian foreign minister, Igor S. Ivonov, asked Albright jokingly if her pin was a tiny antimissile system? She went on the offensive quickly, “We know how to make them really small, so negotiate.” After Saddam Hussein called Albright a snake during a United Nations debate, she flaunted an antique pin with a coiled snake on her lapel for all the delegates to see. Among her vast collection of pins, Albright said her favorite was an antique eagle she bought to celebrate her appointment as Secretary of State. During a packed eight years in office the eagle flew, through thick and thin national crisis’ and patriotic events. Albright once said about her ever present jewels, “The first president Bush said, ‘Read My Lips.’ I said, ‘Read my pins.’” The first female Secretary of State even wrote a book in 2009 about how her jewels played a role in her position, Read My Pins: Stories From a Diplomat’s Jewel Box. All and all the jewelry genetic are a pretty lucky bunch. Smarts, style, humor and an understanding of the finer things in life that are so often misunderstood come along with this special DNA. 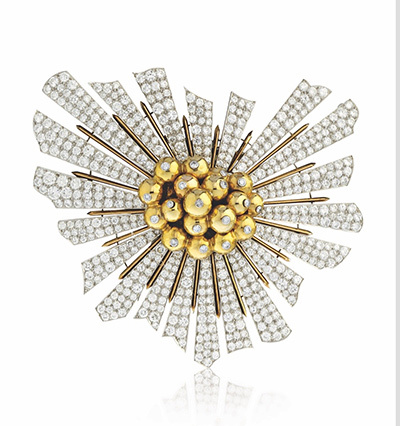 So thank your lucky stars you were born with the sparkling passion. If perchance you think you don’t have it, don’t worry. It will develop over time reading The Adventurine. Promise. *Reproduction including downloading of Man Ray photograph of Coco Chanel in this story is prohibited by copyright laws and international conventions without the express written permission of the Artists Rights Society (ARS), New York. To read Part I of The Jewelry Gene click here and to read Part II of The Jewelry Gene click here.